Save up to $200 on select sets of 4 tires.† Ends 6/30/19. See Details. Get emails with special savings and helpful tips from the tire and service experts. 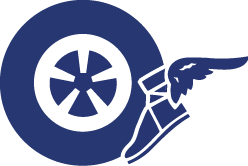 Looking for new Goodyear, Dunlop or Kelly tires? Before you buy, consider the weather conditions you experience most, the road conditions of your daily routes, and your driving style. Have gone to Just Tires before to have tires checked for leaks, always helpful and service provided without charge for checking old tires, that is why I went back to purchase new tires, kindness and honesty. I got a great quote. The tires were exactly as promised and service was prompt and friendly. I am very pleased and I will return. Needed new brakes and an oil change. They turned it around very fast and every person I came in contact with was very helpful. I’ve trusted Just Tires for years—brakes, tires and oil changes. Satisfaction w/service, helpful, friendly staff, been there at least 3 times for oil change and this time also purchased tires, had no problems. Service wait time is good. This is the third set of tires I have purchased from Just Tires in Garner. Each time I have had great service in a timely fashion. I will continue to go back to this establishment! Great friendly service. I would highly recommend Just Tires. They go above and beyond to make the customer experience a positive one. CARE, QUALITY, AND RESPECT FOR YOU AND YOUR CAR.